Was the Boiler Scrappage Scheme a Rip-Off? Brainchild of the previous Labour Government, the Boiler Scrappage Scheme was launched at the beginning of the year in England and Wales ahead of a similar project in Scotland. This scheme offered households the chance to trade in their old energy inefficient central heating boilers for new models at a discount. Under the scheme, a household could receive £400 towards the cost of installing an A-rated energy efficient replacement boiler. According to industry experts, the average cost of buying and installing a new boiler is £2,500, therefore, a £400 reduction should have provided homeowners with a sufficient incentive to sign up to the scheme, not least because further financial savings could be made through reduced fuel consumption, but was the boiler scrappage scheme as good a deal as it was made out to be? A Freedom of Information request by The Guardian revealed, on average, the big energy suppliers who offered boiler installations under the scheme charged a third more than independent traders. In some regions, costs were hiked up as much as 60 per cent. Although the leading energy suppliers can, economically speaking, afford to control prices to a certain extent, doing so under a scheme designed to incentivise the move towards energy efficiency by reducing costs would seem cynical in the extreme. On average, a household having its A-rated energy efficient boiler installed by an energy supplier paid between £702 and £812 more than if they had opted for an independent supplier, depending on the size of the company chosen. In the West Midlands, the average cost charged by the leading energy companies to replace boilers under the scrappage scheme rose to £3,590 – £1,335 more than an independent fitter would charge. The south-east of England, which experienced the largest number of installations, suffered a price discrepancy of £636, whereas the north-east enjoyed the lowest difference of £564. The question of whether the boiler scrappage scheme was a rip-off, however, cannot be answered directly by comparing services supplied by different companies. British Gas, for example, is the country’s largest energy supplier, employing more than 9,000 engineers and having installed almost 100,000 boilers in properties last year. British Gas also claims to be the leading supplier of A-rated boilers. 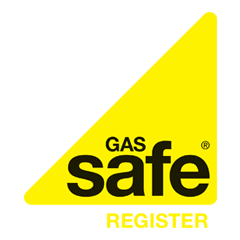 Based on the service British Gas is able to provide, customers may prefer to part with more money than risk hiring an independent fitter. Nevertheless, the boiler scrappage scheme’s principal aim of making energy efficient boilers more affordable to households may have been lost on some of Britain’s largest energy suppliers.